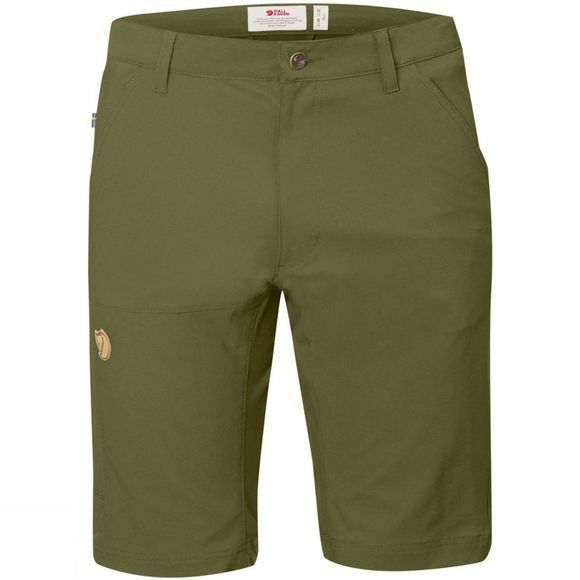 Light, airy trekking shorts in comfortable stretch fabric that gives you maximum freedom of movement. The fabric is well ventilated, dries fast and does not take much space when packed – practical for trekking in the summer mountains or in warmer climates. Zippered leg pocket on the right side with an inside mesh pocket for mobile phone, plus two hand pockets and a back pocket. Regular fit with a mid waist that is a little higher at the back so the shorts sit comfortably when carrying a backpack.